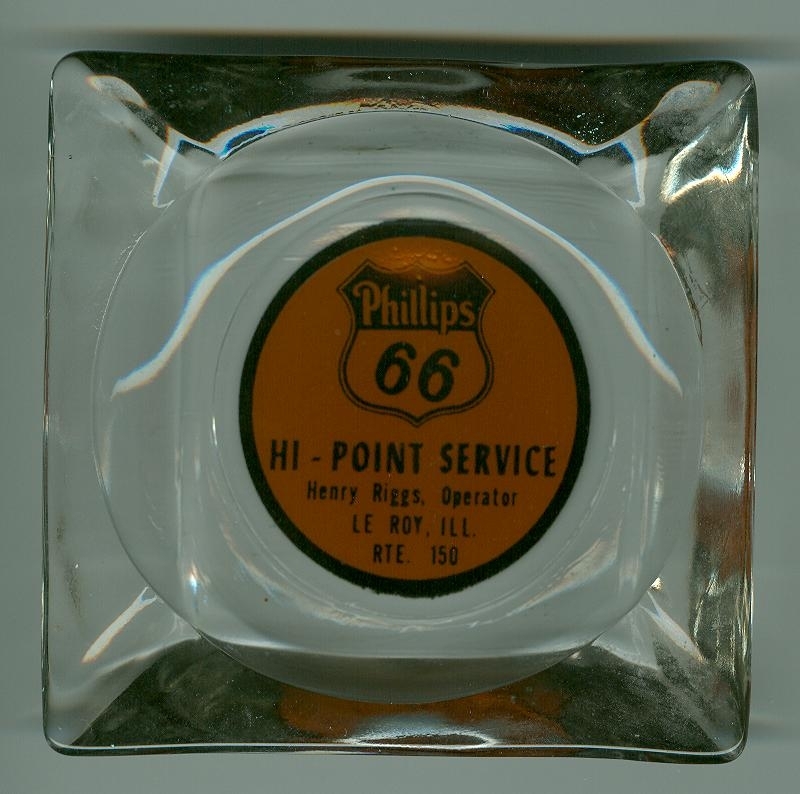 This is a glass advertising ashtray from the Phillips 66 Hi Point Gas station.It was located on Rt 150 on the curve that is now near Casey's in Leroy Il.It was operated by Mr Henry Riggs.Henry was a well liked man who could fix any machine.The photo below show the station in the late 1950s. . .